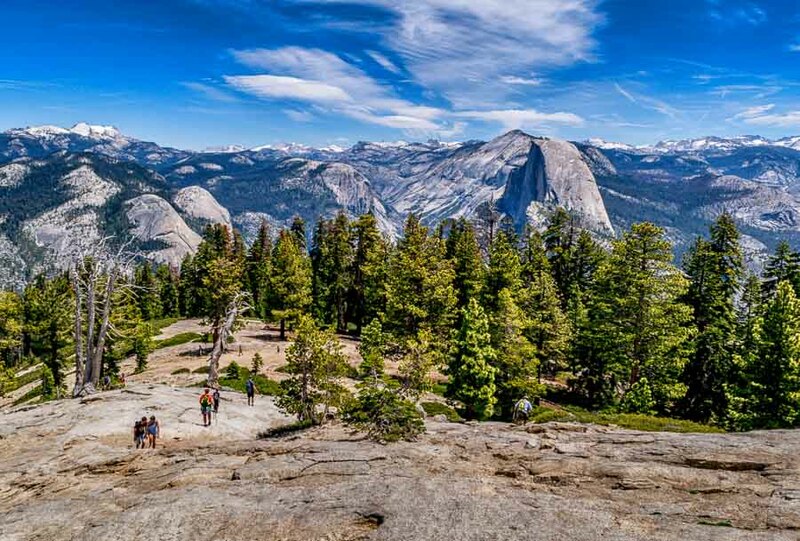 After hiking the trail to Sentinel Dome (elevation 8,122 feet), the dome itself may look a bit steep, but if you are in good physical condition for hiking, I encourage you to try it. The surface of the rock is not slick and good hiking shoes will grab onto the surface ridges. There is an “established path” that the hikers on the left of the picture are following. Once on top of the dome, the valley opens up with El Capitan, the Merced River and meadows to the northwest and Half Dome and the falls to the northeast. It is truly impressive. 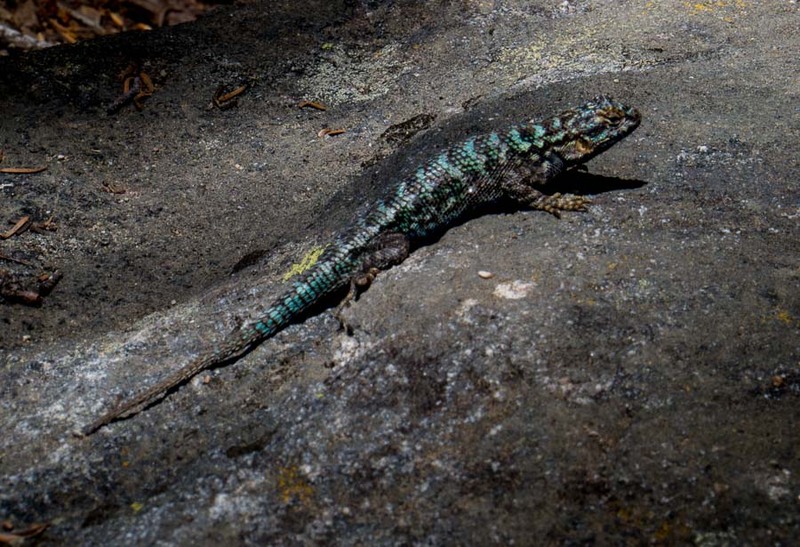 If I had to take a guess, I would suggest that this is a picture of a Sierra Fence Lizard. The photo was captured along the Taft Point Trail at Yosemite National Park. We saw several scampering about in the sunny, damp woodlands. Having hiked extensively in the southwest, this lizard is just one of many that I have come across and photographed. They are a very diverse, colorful and interesting group of reptiles. I am a sucker for stonework and Yosemite has more than its share. There are a good number of causeways, curbs and cottages made of stone throughout the park. Using such a natural resource only adds to the beautiful surroundings. When I first began my pickleball play, there were very few paddles available in brick-and-mortar stores. As a matter of fact, one way I gauged the popularity of pickleball was to take note when sporting good stores began to carry paddles and pickleballs. Now they can be found at many outlets including some Walmart stores. When asked which paddle I should buy, nobody could give me a solid answer and there were no obvious choices. Do I select wood, composite or graphite? How is one to know which paddle to get? 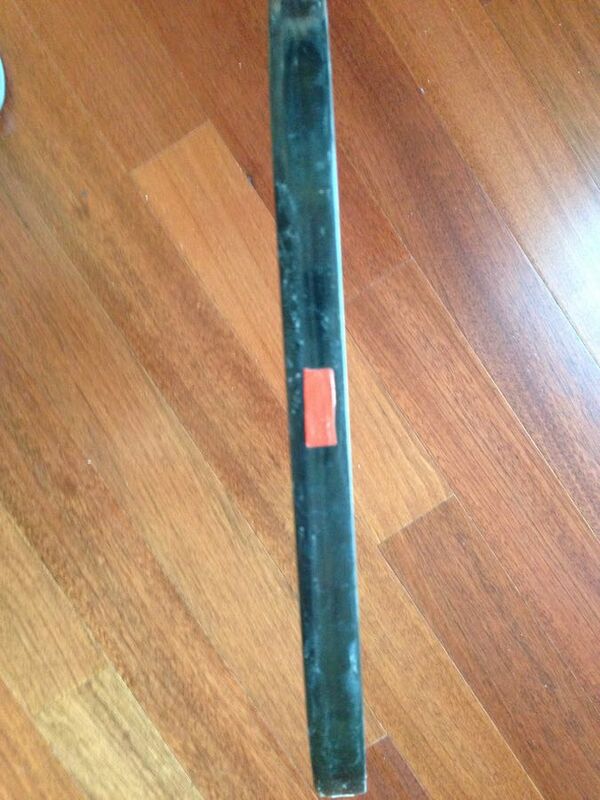 Well…I think I can safely say that the paddle is not my problem no matter which paddle I am using. 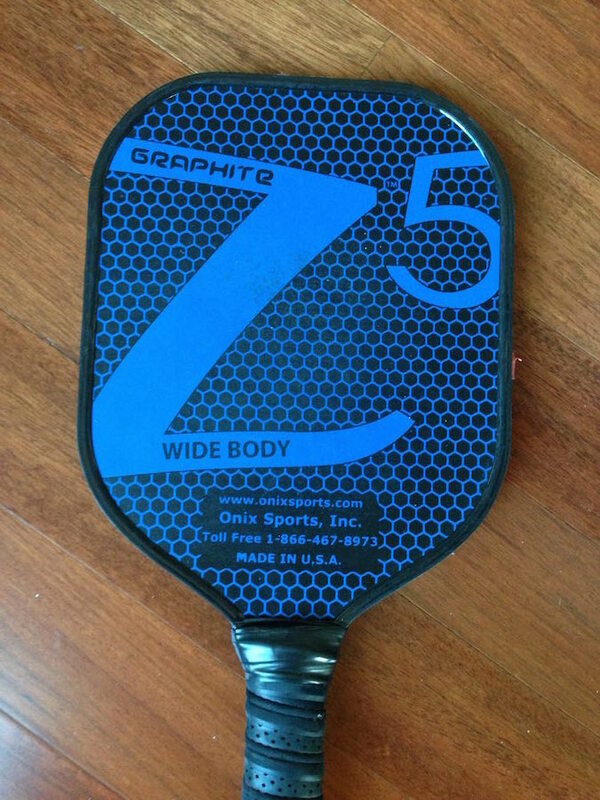 I decided to watch those players I considered to be good or very good and I saw that many of them used the Z5 Wide Body Paddle. I thought that if they could play that well with the paddle, it must be good (little did I know that the paddle had no magic!). A problem that occurs under the above circumstances is that quite a number of players end up using the same paddle. I know at least four players in my PB circuit that use this same paddle in the same color. This may become a problem when paddles are put down; one looks like the other. 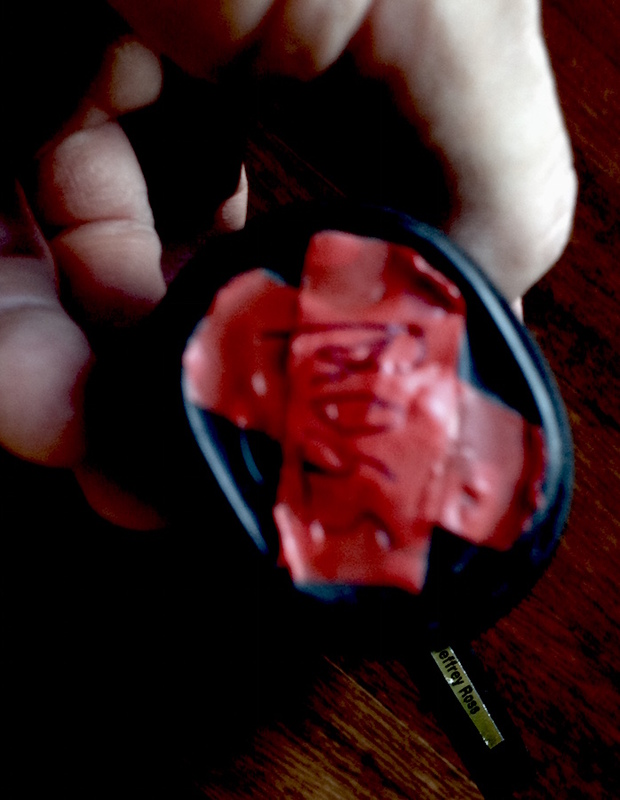 I also wanted a way to locate my paddle no matter what edge was facing me so I put pieces of white tape or pieces of an address label along the edge so I could identify it. 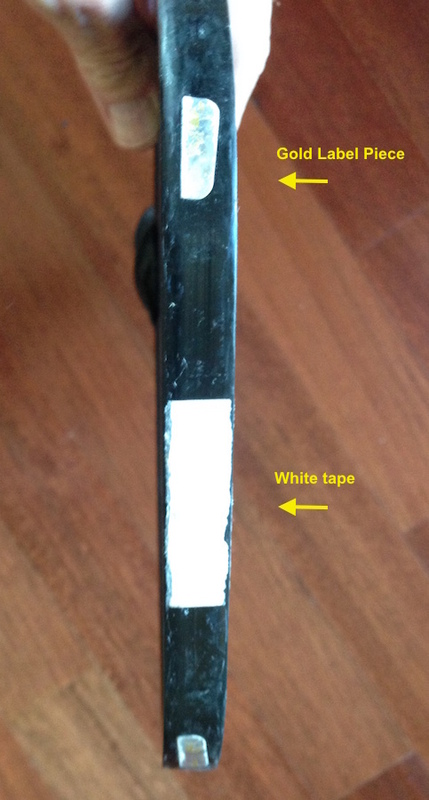 One could write a name on the white tape pictured below prior to placing it on the paddle. I also have another paddle that I allow other players to use and I put a complete address label on the front of the paddle bottom near the handle. 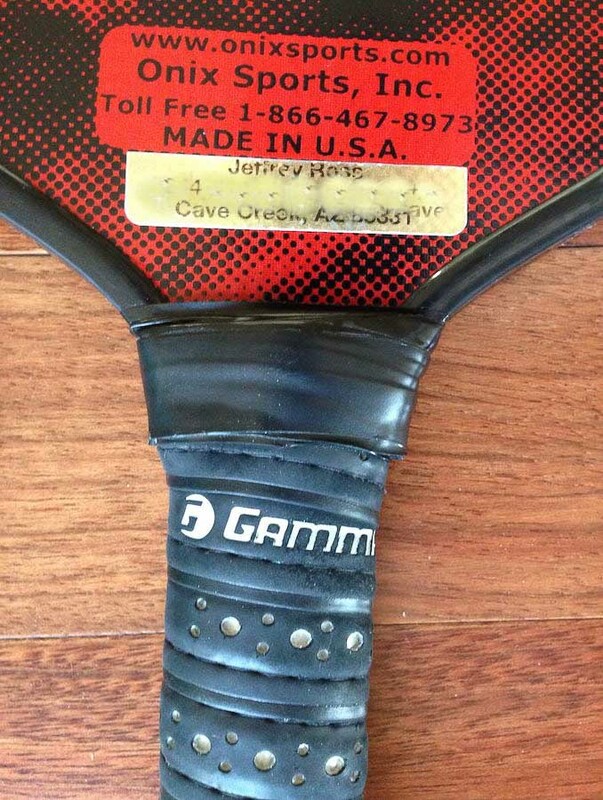 NOTE – Address is intentionally blurred and is legible on the paddle. Taking all the above precautions now allows me to easily identify my paddle and if, for some reason, it gets misplaced, the chances of it finding its way back to me are greatly improved. NOTE – There are rules and regulations issued by the USAPA regarding what is and what is not allowed on paddle surfaces. For your information, I am printing them below so that you can make sure any modifications you make will comply with official USAPA rules and regulations. 2.E.6.d. Moving parts that can increase head momentum. 2.E.6.e. Springs or spring-like material. 2.E.6.f. Flexible membranes or any compressible material that creates a trampoline effect. 2.E.6.g. 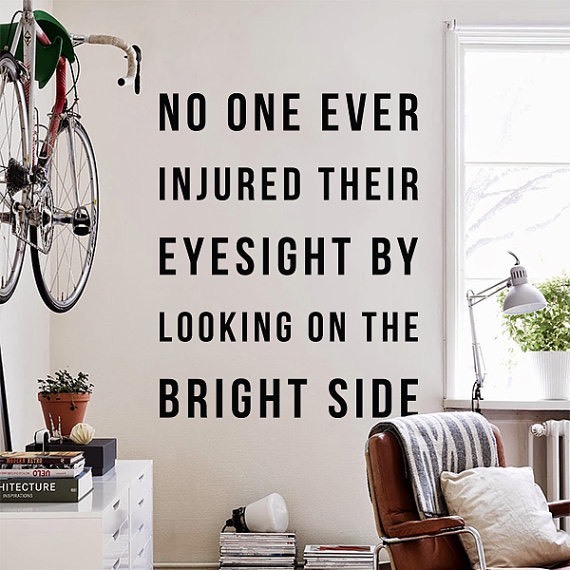 Electrical, electronic, or mechanical assistance of any sort. If you have ways to distinguish your paddle that are not mentioned above, leave them in the comments section. Spoiler Alert If you want to try to answer the puzzle, see yesterday’s YOY #35 and return to this post after that. 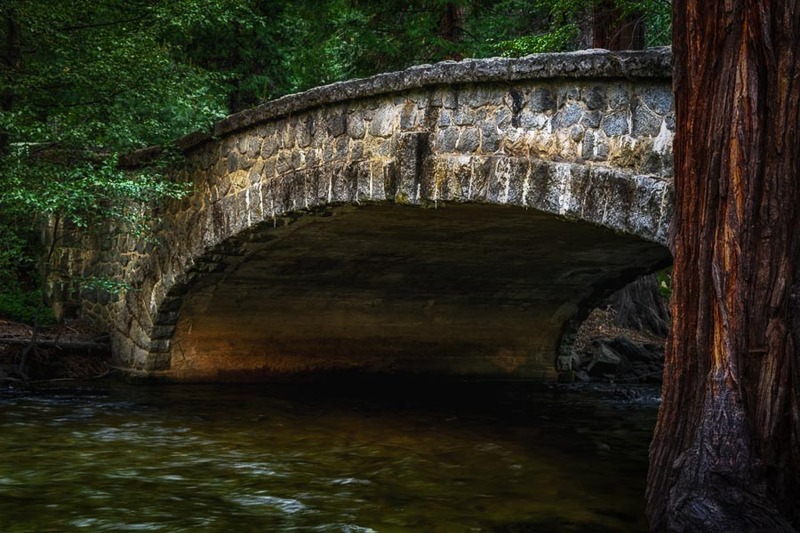 If you don’t care to take a guess, then click HERE to go to today’s Yosemite picture(s). Above is yesterday’s picture with the hint circled. Do you see that red object? 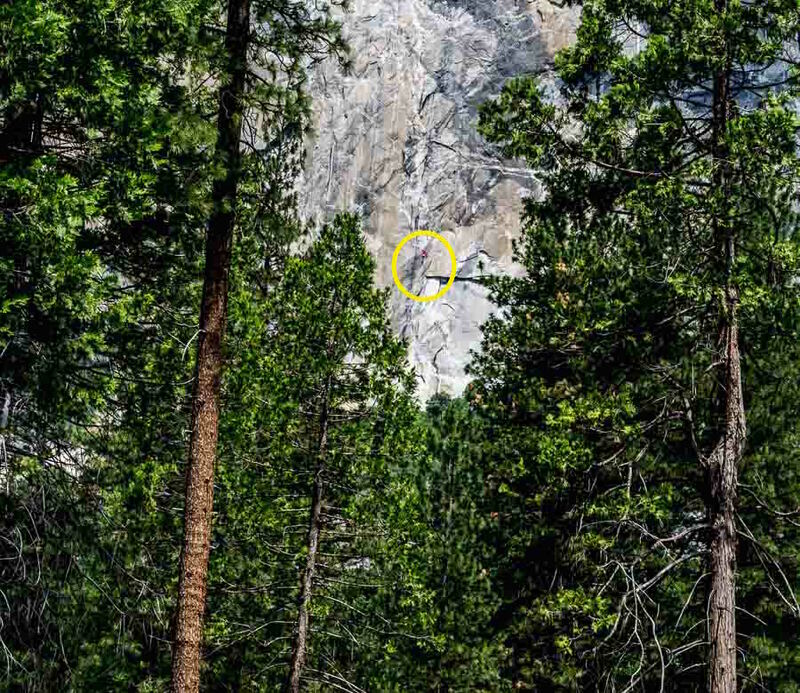 We were very surprised to learn that the park service allows rock climbers to mount El Capitan since it is such an iconic landmark. There were a number of climbers trying to ascend during our visit and onlookers were lined up under trees in nearby fields to watch the climbers make their way to the top. We were told that the climb can take between three and six days depending on a variety of factors. 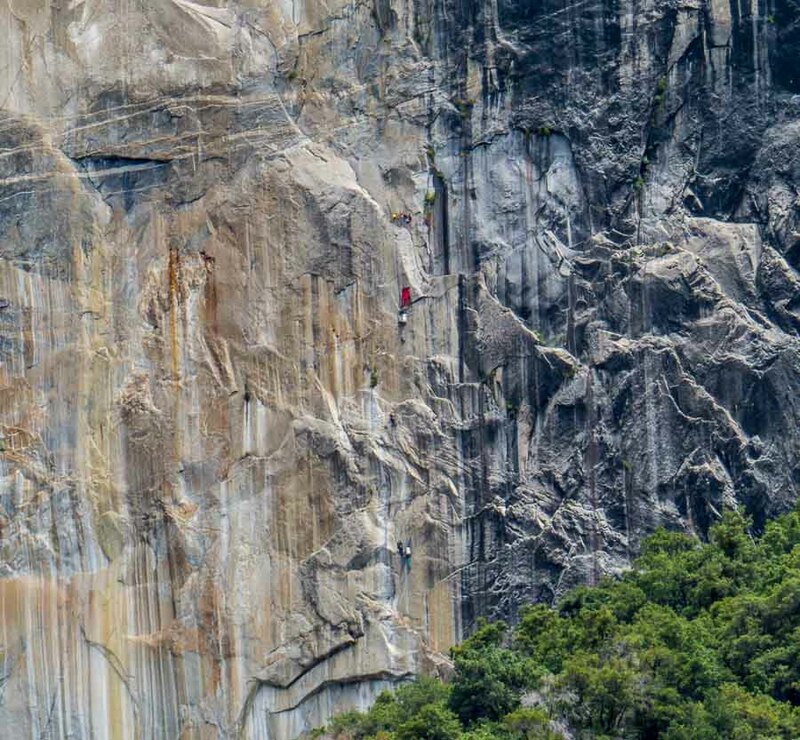 Climbers must bring everything with them to sustain them during this feat. Plans need to be made for sleeping, eating, etc. The red item is one of the bags used to carry supplies and below that there appears to be a pail and a weight. 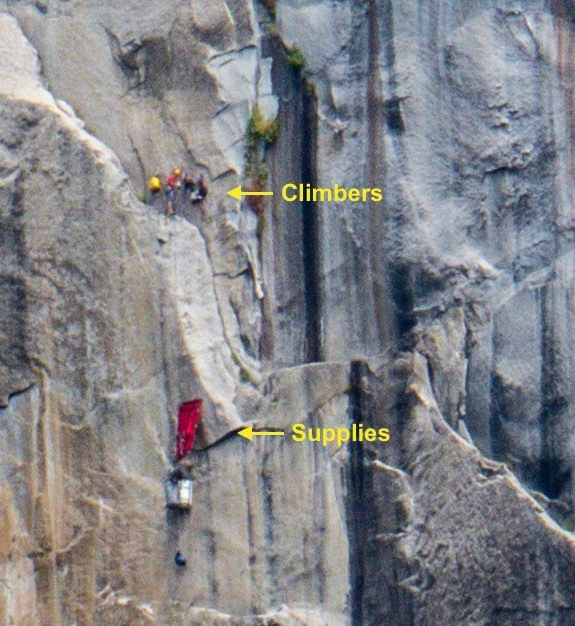 Above the bag there are two climbers with additional supplies. This may be hard to discern so I enlarged a portion of the picture which appears below. Every once in a while something special and unplanned happens. You can call it serendipity or call it fate; I call it interesting. Humans have taken control of the world and created buildings and structures of all sorts. I have often wondered what the other animals “think” of these man-made creations they may come across. The video below shows a hawk inspecting a weather station. There seems to be significant interest on part of this bird of prey. It is not often we capture videos like this.